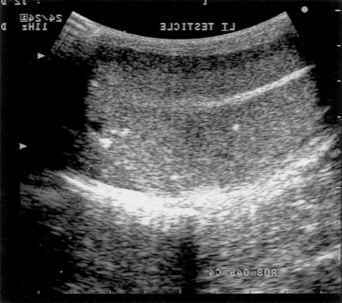 Giant Panda Breeding (Fig. 10.1). Since a modern genetics laboratory already existed at the Chengdu Research Base, creating the genotyping centre only required transferring the necessary additional tools and technology. A team from the Laboratory of Genomic Diversity (National Institutes of Health, USA) travelled to Chengdu. An Applied Biosystems Model 373 DNA sequencer (generously donated by the manufacturer) was installed and tested. A training seminar (focused on instrument operation and data collection/analysis) was conducted for scientists and technicians from the Chengdu Research Base as well as representatives from Beijing Zoo and the Key Laboratory of Cellular and Molecular Evolution (Kunming Institute of Zoology) (Fig. 10.2). Laboratory set-up and technology transfer were sufficient to allow this new facility to be used long into the future for resolving paternity issues relative to giant pandas living ex situ as well as in situ. Figure 10.1. A modern state-of-the-art giant panda microsatellite genotyping centre was established in the Laboratory of Genetics and Reproductive Studies at the Chengdu Research Base of Giant Panda Breeding. Figure 10.2. A training session for performing fluorescence-based microsatellite genotyping was held at the Laboratory of Genetics and Reproductive Studies at the Chengdu Research Base of Giant Panda Breeding. Shan Sun and Victor A. David led the discussions attended by scientists from Chengdu, Beijing Zoo and the Kunming Institute of Zoology. sample using a commercially available kit (Qiagen, Germantown, MD). Animal names and studbook numbers were obtained from the Giant Panda International Studbook (Xie & Gipps, 2001). 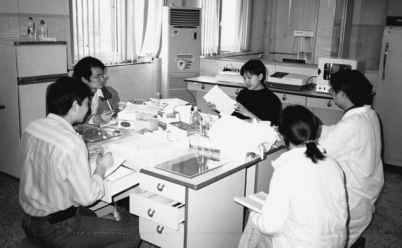 Mating information for each animal was obtained from the breeding records of the respective institutions. Figure 10.3. Buccal cells were collected from giant pandas at the China Conservation and Research Centre for the Giant Panda (Wolong Nature Reserve) by brushing the inside of the animal's cheek with a soft brush. 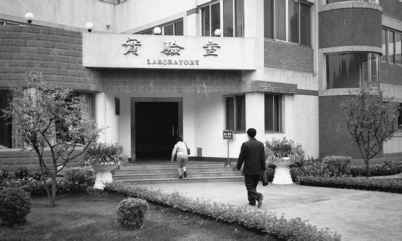 DNA was extracted from the samples in the laboratory at the Chengdu Research Base. 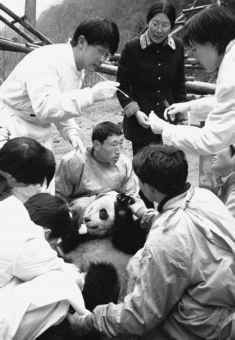 In the photograph, the giant panda is being distracted with a piece of apple so the sample could be collected. Biosystems Model 373 automated DNA sequencer, and the data were analysed using Genescan Version 1.2.2-1 and Genotyper Version 2.5 software (Applied Biosystems). The computer program Cervus (available at http://helios.bto.ed.ac. uk/evolgen/) was used to evaluate potential paternity based upon a maximum likelihood assessment of the various potential sires' composite microsatellite genotypes (Marshall et al., 1998). The paternity questions at the two breeding centres were evaluated independently. In each case, all animals for which genotype data were available at that site were used to generate a reference population for allelic frequencies. These values, in turn, were used by the Cervus program to determine match statistics. Offspring were checked against all available sires and dams for possible parentage. The calculations presumed a maximum of 1% error in genotyping using 10000 simulation cycles. If one parent was assigned as known, the program inferred the other parent's alleles and then calculated probability of non-exclusion for the unknown parent based on the allelic frequencies of the microsatellites in the reference population. This value indicated the probability that an animal that was not the true parent would fail to be excluded. The exclusion probability for the sire was calculated after assigning the known dam as the mother. The value for the dam was calculated by fixing the putative sire as the father. In some cases, the non-exclusion value for the dam was absent because there was not a DNA sample for the known dam. Pedigrees were constructed using PedDraw version 5 (available at http://www.sfbr.org/sfbr/public/software/pedraw/peddrw. html). Genetic relatedness was estimated from the genotype data using the program Relatedness version 5.0.8 (available at http://gsoft.smu.edu/ GSoft.html; Queller & Goodnight, 1989). A subset of relatedness estimates employed 44 animals (25 from Wolong and 19 from Chengdu) for which there were no missing data at ten microsatellite loci (Ame-^10, 11, 13, 14, 15, 22, 25, 26, 27 and 28B).